Wild Turkey had a need to expand plant capacity. The existing plant could not be expanded because of real estate constraints. The decision to build a completely new facility in a nearby area then became the answer. 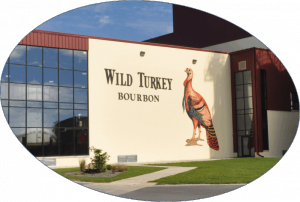 It was imperative that the characteristics of the Wild Turkey brand be preserved throughout this capacity expansion. 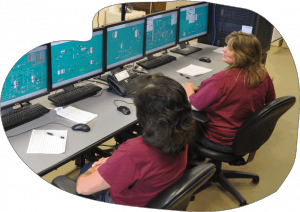 The system needed to be able to improve task automation for safety and worker efficiency while still providing the distillers all the access they needed to be able to continue the production quality of the existing Wild Turkey brands. This process also needed to be responsive enough to allow for future development efforts as well. Maintenance for the system coupled with high visibility into the system all the way down to instrumentation was also a high priority. What we did is create a new expansion project on our site so everything we have is purpose built including the control system. Wild Turkey customers are generally very loyal to the brand. We had to be very sensitive to their concerns regarding this expansion as it relates to product quality and continuity. So coordinating that transition from the old facility to the new facility was very important to us. The control system that we currently use mirrors the actions that we did in the old facility to a tee. We were able to mirror that entire process that we had in our older facility in this new facility and we are very pleased with the outcome in terms of the distillate we are now producing. We’re finding the reliability of this system has been flawless to date. Based on their past experience in the industry, Bachelor Controls knew what we wanted. They knew what we were actually about. The control system is a Cadillac it’s more at your finger tips – a click of the mouse you can hit start on a sequence and the process will start up it will weigh up your grains, add the water, add backset, dump the grains, cook it …. I feel like Bachelor did a very good job capturing what we do and making those things work correctly and displaying them on the screen correctly so that we get to know when a process is working correctly and when it is not. I like the way they have designed their screens. Everything seems to flow very well. None of the operators had very much computer experience. We did some minimal training and they have taken off with this and have done very, very well.